Personal care service is given to persons who can no longer care for themselves due to various reasons. Such services include, but are not limited to bathing, grooming, mobility, meal preparation, and others. Patients who need personal care services in Wisconsin are in a vulnerable condition because their situations can grow more complicated if they will not be cared for properly. A physical disability can keep a person from moving about at home. Their movements can either put them in danger or can cause them pain. However, they still need to be clean, well-fed, and be able to relieve themselves normally. Since they won’t be able to do this on their own, the assistance of Non-Medical Home Care in Brown Deer, Wisconsin ill be very much valued. When a patient is going through depression or any form of mental illness, they will tend to stay out of this world. As a result, their current health condition can be affected. They might not enjoy taking a bath. They might become picky with some foods. They might even choose to lie on the bed for many days. When this happens, their physical health can be compromised and they might even be in direr states than before. Because of specific treatments and medications to an illness, patients can grow naturally weak. After a dialysis or chemotherapy, for example, your loved one may find it hard to get up from bed just to relieve themselves. As a result, they could end up soiling their bed sheets which put them at risk for infection. It’s in these kinds of cases that a patient will need personal care services. Do you have a loved one going through any of these conditions? Make sure that their personal care is not compromised. 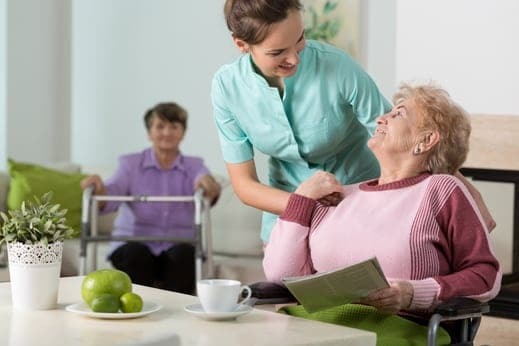 If you’re unable to extend the sufficient care they need, don’t hesitate to contact our experienced team at Supportive Personal Care Services. We will extend the quality level of care that your loved one deserves right there in your home. If you need this type of service, don’t hesitate to reach us out. This entry was posted in Personal Care and tagged Caregiver, Elderly Care, Home Care Services. Bookmark the permalink.